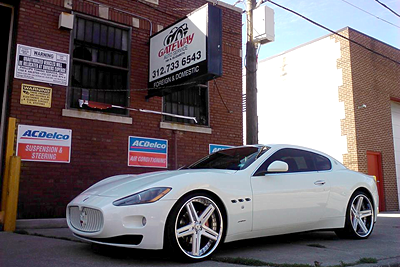 We are your premier Chicago auto repair service. We treat every car we service like it’s our own. From tires, to exhaust, to oil changes; our goal is to keep you on the road, safely and securely. Our Auto Spa is now open to ensure your vehicle not only runs like new but looks like new! There is nothing like having car troubles in the downtown Chicago area – if this happens unexpectedly – we are here to help – just give us a call. Honest Technicians at an Honest Price! We are only a phone call away! • Learn a little about our business philosophy on our About Us page. 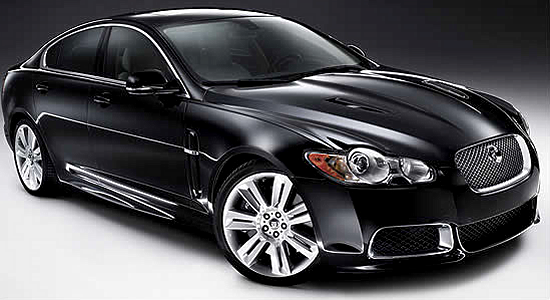 • Find out exactly what kind of auto repair services we do by visiting our Services page. However you can bet if you have any kind of repair or maintenance to be done, we do it! • Need a car wash or a full detail – check out our Hand Car Wash at the Gateway Auto Spa location now open! • Get all of our contact information for all 3 of our locations as well as maps and directions on our Contact Us page. • On our Press & Resources page, you will find some helpful auto maintenance tips and troubleshooting info for some of those funny sounds your car might be making. Also on that page, we provide you with links to various reviews of our business found throughout the internet. Need a tow – we’ll pick you up! 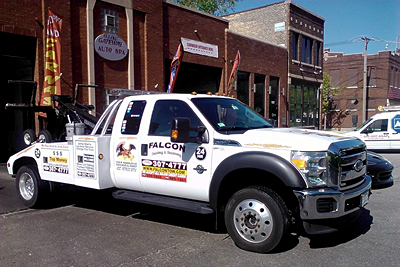 Falcon Towing is standing by…Give us a call on 708-307-4777 Regardless of your needs, Gateway Auto Service is your one-stop shop to keep your automobile running at its best. All of our technicians are expert mechanics, trained to provide the best service for your automobile. 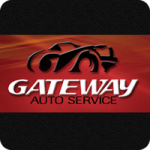 Gateway Auto Service does almost every car repair that you can think of. We have three locations in Chicago to better service our customers. After taking my car to three other auto shops in the area, it seems I have finally found an honest one. I had purchased a Groupon for oil changes a few months back and aside from that great deal, Santos has been a huge help in keeping me informed of my car issues. Previously, I had been misled on my car’s needs by shops that wanted to take advantage of the fact that I am a female. One even drove my car 70 miles and thought I wouldn’t notice (Grace). Because I don’t know a lot about my car, Santos has taken time on several occasions to explain and show me where problems exist. I appreciate the fact that I have never felt pressure from Gateway to purchase services, I have only been told and shown what work is suggested and why. Even after my oil change coupons expire, I will continue to go to Gateway because of their outstanding customer service. So I am useless when it comes to cars and unfortunately in the past two weeks I have had one flat tire (thank you Chicago potholes) and a very large dent to the side of the car (some mean person.) Anyway after driving on the highway today I felt like the car was pulling and maybe I am just paranoid about another flat tire. I couldn’t help it I had to get it somewhere. This place is literally across the street so I decided to give it a try (plus the good reviews on here.) They were SO nice. I explained my situation to the best of my ability and Santos explained what he thought so I could understand:) Anyway I think I got it and even better he told me he’s going to check prices vs somewhere else. It doesn’t get much better than that. I love honesty. I’m so relieved to have found an auto shop I trust. I’ve been here twice and have left with my car running nicely and me totally satisfied. Unlike other repair shops where I’ve left feeling like they ripped me a new one. Both times Gateway knew I didn’t have a lot of money to spend, so they took me through a list of things that needed to be done and things that could wait. As in “do this now, but this other thing can probably wait until next season.” A couple years ago they gave my ’99 Altima a once-over before driving down to NC, and the car ran perfectly the whole way down and back. I also notice lots of women coming in and out of here, which tells me they’ve probably also come to trust the place. 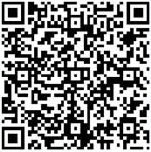 Use the QR Scanner on your Android to scan the QR code to the left which will take you to the FREE download for the Gateway Auto App!